Stay Warm this Winter with The Northwest Blankets! Have someone on your gift list that is always cold!?? Then you are going to want to give them a super warm blanket from The Northwest! The Northwest is the number one throw manufacturer in the U.S. and produces products such as blankets, pillows, rugs, bath, beanbags, etc. The brand has partnerships in sports, entertainment, and more and also offers a variety of products for men, women, and children. You won’t be able to resist cuddling up to your favorite team with this soft throw that will provide you with incomparable warmth and comfort. The OFFICIAL NFL Mink with Sherpa Throw by The Northwest Company is a two-sided throw, making it hard to choose which side you’d prefer to be under while watching your favorite football team on TV! 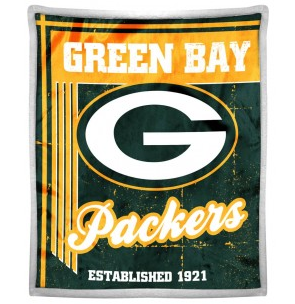 This 50”x 60” cozy throw is perfect to cuddle with on the couch, in the stadium, or in the comfort of your own bedroom. 100% Polyester. Machine washable. 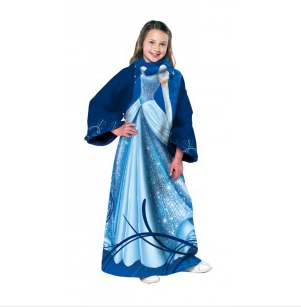 Get cozy and dress up as your favorite Disney princess, Cinderella, in this soft fleece Comfy Throw™ by The Northwest Company. This colorfully detailed ball gown designed throw comes with sleeves allowing you to keep warm while arms and hands are free to use a laptop, TV remote, read a book, and much more. Measures 48”x 48”. 100% Polyester. Machine washable. You can purchase all The Northwest blankets from The Northwest website.